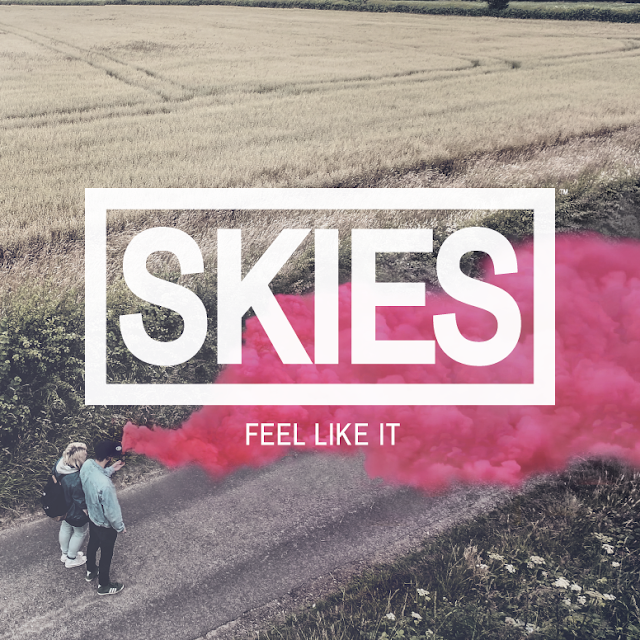 SKIES have revealed "Feel Like It" to us, which is the first single from their forthcoming début EP "If You Feel Like It", out 27th November on LAB Records. "Feel Like It" sounds like the perfect track for all of you synth-pop fans, with massive suyths layered upon each other, some tingling guitar tones and some pretty anthemic vocals that are just shouting like they're aching to play some big stages! The production value on this track is as high quality as the track, being produced by Oz Craggs (Mallory Knox) you can easily see why! The band add: "the track was written after watching a film about the Tsumami in Indonesia. I couldn't understand why god couldn't just reach down and stop it from happening. It also touches on the concept of being in a relationship with someone who isn't trying, someone who is just a dead weight in the relationship"
SKIES have really came out of the blocks running on this one, with loads of airplay from Amazing Radio, 6 Music and BBC Introducing be sure to keep an eye on them as this is just the start of a long and healthy career for them!